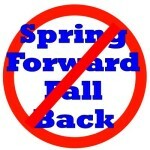 Many of you will opt to change your clocks Saturday evening, some of you will wait til sometime Sunday during the day. A few of you will discover your error when you get to work an hour late on Monday morning. Here in my home state of Arizona, I’ll have to change a few of my clocks too, even though we don’t do DST. You see, some of my clocks assume DST is a thing no matter where you live, so I’ll actually have to change them back to the right time by moving them back an hour. And then I’ll have to remind all my east and west coast friends and colleagues that our relative time is now different — us in Arizona will be the same time as our California associates, and three hours different from the New Yorkers. Hawaii also doesn’t do DST. And Montana has legislation passed in their Senate and making its way through the House to be the third state to exempt itself from — or “opt out of” — Daylight Saving Time. 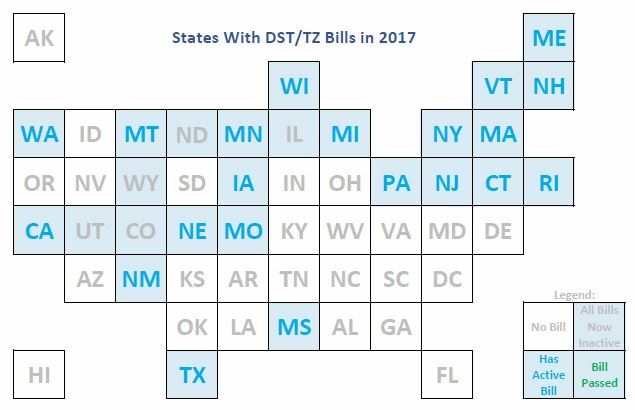 Many states — 21 of them, in fact — have some form of legislation relating to Daylight Saving Time or Time Zone changes, though some of those have already failed, and most of the others won’t make it very far.